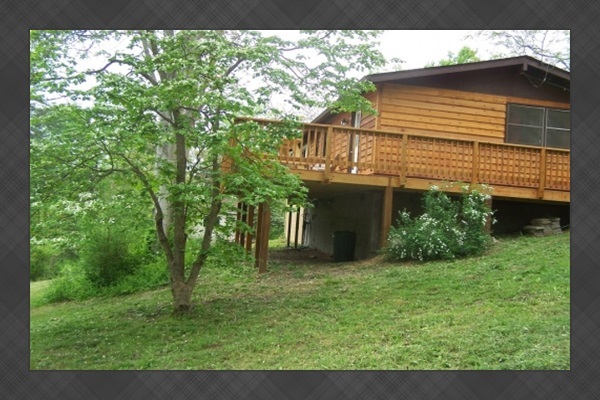 Return to the simplicity of life & embrace the wonders of nature at our Turtledove Mountain Cabin! Curl up by the fire with a good book or bring a couple of your favorite DVDs. Turtledove is our version of Thoreau’s Walden Cabin; a place to escape the clutter of life. Take time to slow down & live with less at our Turtledove cabin & use it as an opportunity to replenish your soul & reconnect with nature & the special people in your life. Outdoor fire-pit out-back- Perfect for gathering around and roasting marshmallows under the stars! Our Turtledove vacation rental is a cozy, rustic, cedar cabin in the beautiful woods of the Shenandoah Valley of Virginia. It features two bedrooms with a king-size and queen-size bed, a full bathroom with a shower, living room with a pull-out couch, dining area, and fully equipped kitchen. A real wood burning fireplace graces the cabin’s cozy living room. Wood flooring warms the cabin. Central heat and air conditioning are included to make your stay more comfortable. There’s a private deck with a hot tub outback! The cabin is in walking distance to the famous Shenandoah River Outfitters, in addition to hiking trails in the George Washington Forest and public Shenandoah River Access are close by. Bring your fishing poles, tubes, canoes, and hiking shoes! There are three boat landings near by Foster’s Landing- public, Beeler’s Ferry and low-water pond- public fishing spot.